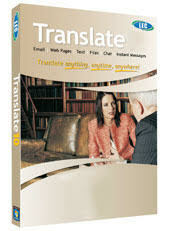 Translate Hebrew Personal provides bidirectional translation between English and Hebrew. With Translate Personal, you also get an introductory subscription to Translate DotNet, with its easy-to-use desktop toolbar. You also get a subscription to TranslateToGo, which is our browser-based service. Our subscription services give you online access to all the languages that LEC supports— more than 300 language pairs. After your initial subscription expires, you may resubscribe to one or more language pairs for as little as $5 per month. You do not need to resubscribe to continue to use Translate Personal from your desktop.